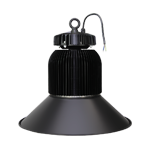 We’re going to talk about metal halide dome lights if you have a bunch of these. What should you do? Should you replace them? Should you keep them? These are used a lot in barns and warehouse areas. Let’s look at a metal halide good about them. Are they worked great in the cold bulbs in the ballasts last a long time? They gave a lot of light when you first put a bulb in 16 feet or higher over the above the floor. It’s a typical installation. Drawbacks are that the bulbs lose their efficiency very quickly. After about two years, the bulb is only giving about 50% of its light output. You should replace them all over a couple years, but most people don’t and also the lights take a lot of many minutes to come on. So what should you do should you keep them? Should you change them? May be there’s some good alternatives out there. Let’s do some calculations and see what alternatives are and if they make economic sense. First, let’s get the baseline. A 400 watt metal halide, let’s assume we’ve got a fixture we’re gonna have on for 2500 hours per year, ten hours a day, five days a week, 50 weeks a year. 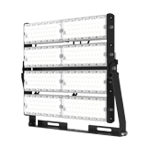 So we’re getting 20,000 lumens of light output from this fixture to start and use this 458 watts of power. Over that year we’re going to be spending about $343 if we use 30 cents a kilowatt hour. Over 5 years including the cost of two bulbs changing over. It is going to spend about $1775. That’ll be the baseline comparison. So what are the alternatives we can use well? 1 For an a fixture should be that it should work in the cold. 2 Should about 20,000 lumens. 3 Should come on right away. 4 At least the same light level as our existing 400 watt Matel Halide. 5 Be able to install at 16’ above floor. 6 Must be less expensive to own and operate over 5 years. Let us take a look at in a bit more details. This is a five eighths of an inch tube high output fluorescent. These tubes and ballasts last a long time. They’ve got lots of light. Alternatives this one it will be the brightest. Light levels stay high. The t5 tube has very good light rendering metal halide. It shows detail very well. Light comes on right away. You can put a cover on it, so no real drawbacks except we need to look at the cost. Here’s the cost 5-year cost of a six lab t5 high output. The fixture itself is going to draw 363 watts. The operating cost for your obese $272. It’s over five years we don’t have to change. Tubes will be spending $1360 which is a savings based on baseline. 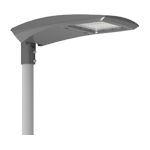 Against baseline of $415, the fixtures are moderately expensive that you’re looking at around 300 dollars installed. So in five years we saved about 100 dollars almost a one for one replacement, but we got better light and they come on right away. These ones also last a long time. They’ve got good light levels 18000 lumens and higher light levels stay high over time. It comes on right away. The only drawback to this fixture is because it’s a t8 fluorescent, not a high output. They will struggle in cold temperatures depending what you’re putting it. The costing on the eight lab T8. You’re looking at around 300 watts total for that fixture which is an operating cost per year of $225. For 5 years we’re going to save about 650 dollars compared to metal halide. These fixtures a little less expensive. They’re about 250 dollars installed. In 5 year we saved about 400 dollars. So saving a bit light levels maybe not be quite as good. You have to be concerned about the cold. This is an LED tube light. It’s got LEDs down the length of the tube. These tubes and ballasts last a long time. They’ve got good light levels as well. Light levels stay high. The LED can not direct the light down. So lumens are lost inside. The fixture that comes on right away or it’s great in the cold. You can put a cover on it. The total lumens is less than 15000 on the floor. Because the tubes are 360 degree beam angle, much lumens lost inside the fixture. The constant for the 8 lamp T8. Looking at around 136 Watts total for the fixture. Using a more efficient ballast. The cost per year would then work out to be 102 dollars, which is a savings of 1265 dollars over 5 years. These fixtures are a little more expensive with the tubes and the ballasts and everything. Looking at about 550 dollars installed but in 5 years because of the less energy use, we send a boat seat about $715. So quite good. Here’s our fourth alternative is an LED bulb replacement. This one you don’t change the fixture you just changed the bulb. These bulbs last a long time. They got good light levels that comes on right away. you only have to change the bulb. The drawback could be that the LED needs to dissipate heat. If you’ve got a cover on it you want to be careful about that. Although you do need to change the fixture, but you can not replace the bulb directly, because every LED bulb have ballast itself. When you remove the old bulb from the metal halide, the old ballast still in the old fixture. You have to remove the old ballast before you replace a new LED bulb. One more thing, like LED tube T8, the LED bulbs are also 360 degrees beam angle. 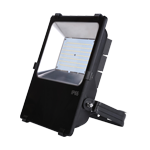 Much lumens are lost inside the fixture, the total lumens on the floor is about 12000lm – 15000lm. The pricing on the LED bulbs around 200 watts for a bulb replacement which works out to be $150 a year. Using 2500 hour rate and savings of about 1025 dollars over 5 years. These bulbs fairly expensive $250. But over that 5 years you saved it with $550 that includes the cost of the bulb. Last option is an LED high bay fixture. These ones where an LED is built right into the fixture and they replaced the metal halide. They last a long time and very good light levels. Light levels stay high (20000 lumens). The light comes on right away. Only issue with these they needs to dissipate heat. So just make sure you get one that fit does have a cover that you’ve been stalling properly. Are these worth to change? 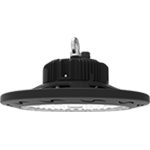 LED high bay fixture looking at about 150 watts on average. Which would work out to be 113 dollars. A year to operate 1210 dollars over five years. These fixtures are a bit more expensive that are usually around $300, which including installation cost. So here we’ve saved 900 dollars in 5 years. So in summary you can see the different 5 options against the baseline. The 8 lamp T8 LED tube is a really good contender. The bulb replacement also very good, and the T5 for safe for a good light levels. T5 is also a very good option. It’s all very good without any probably leading the way. What have we learned? LED high bay fixture is probably the best option. We just be aware of heat issues. LED tube is a good contender so some people even go from an 8 lamp to a 6 lamp and save more energy. If they don’t need to have all that light. You can a lamp fixture and just take tube two bulbs out. So in some areas we don’t need quite as much late suddenly. 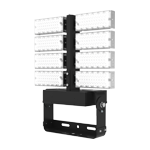 Also mention is 6 lamp T5 high output. It doesn’t save as much money in the long run, but it is what a lot of people replace them with. If you can get away with it, you can put 4 lamps in there use a four line fixture. Just use four tubes and a 6 lamp fixture. You can save a bit of money. 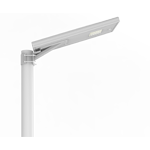 Here’s an example of a 4 lamp T5 high output where you’re getting close to $675 of savings. So the high output very good option as well eventually. You could be looking at an economical T5 LED tube so that putting that in that same fixture. 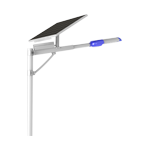 The T5 LED could then reduce your energy use many governments provide rebates against the cost of the fixture. In addition to the savings we’ve talked about in a Theriot Canada. These rebates typically work out to be $100 per fixture for this type of replacement, so can very bit add to that savings that you’ve got over 5 years. If you’re in Ontario look at the government site save on energy like CA for more rebate information. They talk about metal halide in there and they give different options and rebates and replacement options very good to take a look at. Make sure you choose LED for your next project.